The No. 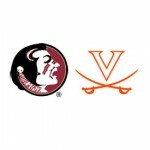 1 Virginia men’s tennis team (5-0) defeated No. 9 UCLA, 6-1, on Tuesday night (Feb. 9) at the Boyd Tinsley Courts at the Boar’s Head Sports Center in Charlottesville, Va. I thought the issue with the UVA offense through the first third of the 2015 season was what it was able to do outside of the big plays to keep the chains moving. 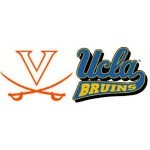 Preview: Is UVA football poised for upset at #13 UCLA? UVA sports fans are nothing if not pessimistic about their football team’s chances in 2015, and they’re not alone. Writers and broadcasters who cover the ACC picked the Cavs dead last in the Coastal Division. 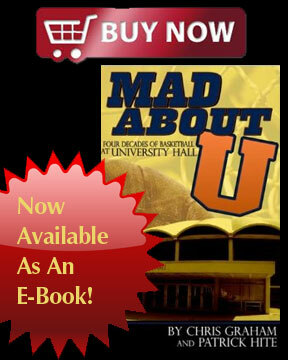 Coach Mike London, in his sixth season, is a dead man walking, his seat nuclear hot. UVA is a 19- to 20-point underdog heading into its season opener Saturday at #13 UCLA. Interesting, when you think that the Bruins might have a hard time scoring 19 or 20 points. What does UVA D have in store for UCLA freshman QB Josh Rosen? UCLA is going with true freshman Josh Rosen as its starting quarterback for Saturday’s season opener with Virginia. Rosen was the top quarterback recruit in the class of 2015, according to Rivals, and the #2 recruit overall. 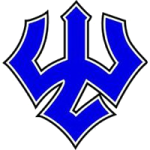 The 6’4”, 210-pounder enrolled at UCLA in the spring and participated in spring practice. UCLA head coach Jim Mora has named true freshman Josh Rosen his starting quarterback for the 13th-ranked Bruins’ Sept. 5 season opener with Virginia. 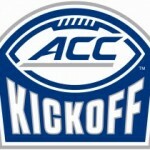 Virginia Tech opens the 2015 season at home on Labor Day night, national television, a sort of rarefied air for college football, the only big-time Monday night game of the college regular season. The news that Bill Roth is leaving Virginia Tech to take over as the voice of UCLA sports had me reflecting on a phone call that I received from the Voice of the Hokies more than seven years ago. UVA soccer midfielder Eric Bird (Sr., Virginia Beach, Va.) was selected by the Philadelphia Union in the 2015 Major League Soccer SuperDraft on Thursday (Jan. 15). A second-round selection, Bird was the 41st overall pick. 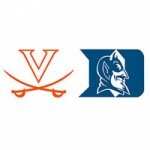 While in a local convenience store Wednesday evening before heading home after attending the UVA-N.C. State basketball game, I overheard two Cavalier basketball fans lamenting the fact that Virginia only won by 10 points against the Wolfpack. Third-ranked UVA leads seven Atlantic Coast Conference baseball teams in Collegiate Baseball Newspaper’s preseason poll, tied for the most from any conference. The “better team” lost on Sunday. That’s what UCLA men’s soccer coach Jorge Salcedo was selling after his Bruins fell to UVA in the national championship game on Sunday in penalty kicks. UVA senior midfielder Morgan Brian (St. Simons Island, Ga.) was named one of the three women’s finalists for the 2014 Missouri Athletic Club’s Hermann Trophy. 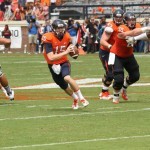 Greyson Lambert vs. Matt Johns: ‘Hoo was the better UVA QB? Greyson Lambert was the starting quarterback for the UVA opener at home against Top 10 UCLA on Aug. 30, but he didn’t even make it to halftime. The UVA men’s soccer team matches up with UMBC at 5 p.m. Friday (Dec. 12) in the semifinals of the NCAA College Cup, hosted at WakeMed Soccer Park in Cary, N.C. The fourth-ranked UVA women’s soccer team advanced to the NCAA Women’s College Cup for the second consecutive year by upsetting top-ranked and reigning national champion UCLA 2-1 Friday night at Drake Stadium. The fourth-ranked UVA women’s soccer team advanced to the NCAA Tournament quarterfinals for the third time in four years with a 7-0 victory over No. 14 Kentucky Sunday evening at Klöckner Stadium. Has Mike London saved his job? At 4-6, on a four-game losing streak, Miami was probably the last must-win game for Mike London as the embattled UVA coach tried to fight his way off the hot seat. Junior guard Precious Hall led five players in double figures as JMU was able to erase a 14-point second-half deficit and defeat 23rd-ranked UCLA 91-87 in OT. If winning six games was what UVA football coach Mike London needs to do to keep his job, he’s a loss away from the moving vans backing up to his office in Bryant Hall. Three weeks ago, when UVA was 4-2 at the midway point of what needed to be a turnaround season, it was plausible to think that the November game with #2 FSU could be competitive. 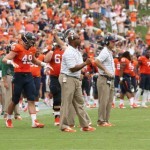 Unscientific Analysis: How many games has UVA coach Mike London, staff, cost the team? Augusta Free Press staffer Scott German, on the drive back from Charlottesville after Saturday’s 28-27 UVA football loss to North Carolina, the latest in a string of Virginia defeats that fans could attribute, fairly or not, to poor coaching decisions by Mike London and his staff, posited that London could personally be blamed “for at least 10 to 12 losses” in his four-plus seasons at the helm. Another devastating loss: The end of the Mike London era? For the fourth time this season, UVA lost a game in which it outplayed its opponent statistically. Which suggests that there is talent in the program. And suggests that the problem isn’t on the field, but with the guys in headsets. Can UVA football bounce back against improving UNC? 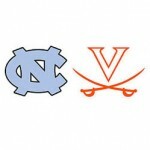 Two weeks ago, UVA football stock was up, UNC football stock was down. Virginia was 4-2 and alone atop the ACC Coastal Division, North Carolina was 2-3 and on its way to a sure beatdown at Notre Dame. Matt Johns: Is he the guy at quarterback for UVA football? Greyson Lambert was anointed as starting quarterback by UVA football coach Mike London coming out of the spring, supplanting last year’s starter, David Watford, who slid to second on the depth chart. 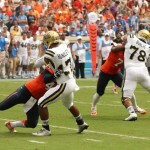 How does UVA football match up with defending ACC Coastal champ Duke? Duke football is riding about as high as you can get in that sport on that campus. A 5-1 start on the heels of a 10-win season that landed the Blue Devils in the 2013 ACC Championship Game and the Chick-fil-A Bowl is what David Cutcliffe has fans almost expecting now. Is Mike London’s job at UVA safe yet? As Virginia football slogged to a 2-10 finish in 2013, it wasn’t a safe bet that UVA football coach Mike London wouldn’t be canned at the end of the season, and that if he somehow made it past that stage he wouldn’t then be a dead man walking in 2014.